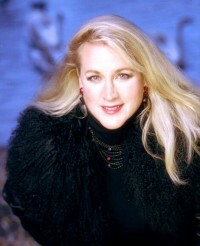 Michigan-born Susan Anthony has established a reputation as one of the world’s leading sopranos. Twice named "Singer of the Year" by Opernwelt for her performance of Maria in Strauss' Friedenstag in Dresden, and for her interpretation of Genievre in the seldom performed Chausson opera, Le Roi Artus , she is a much sought-after guest artist in the world’s major opera houses, including Paris National Opera, La Scala Milan, Bavarian State Opera, Vienna State Opera, Berlin State Opera, Dresden Semperoper, Tokyo New National Theater and New York City Opera. 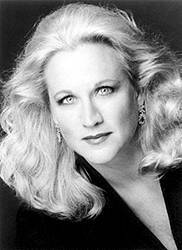 The central focus of her repertoire is in the young dramatic and she has won acclaim with critics and audiences alike for her sensitive and technically assured performances of roles such as Salome, Sieglinde, Leonore (Fidelio), the Kaiserin, Ariadne and Senta. Equally at home on the concert stage, she has performed with such notable Maestri as James Conlon, Daniel Barenboim, Sir Colin Davis, Zubin Mehta, Ricardo Muti, Giuseppi Sinoppoli and Wolfgang Sawallisch. Recent appearances have included an "intensely dramatic" Marietta in New York City Opera's staging of Die Tote Stadt, and a "glowing" Senta in Barcelona. Salome in Amsterdam garnered rave reviews and her interpretation of Die Liebe der Danae during the recent Strauss festival in Dresden impressed international audiences and critics. Upcoming engagements include her debut as "Ortrud" in a new production of Lohengrin in Karlsruhe, Germany, Masterclasses in Detmold and Stuttgart, as well as diverse concert appearances. Between engagements, the busy soprano schedules as much teaching as possible, most recently as adjunct Professor of Voice at the prestigious Jacobs School of Music in Bloomington, Indiana.